The class 6A is going to be a heavy weight fight this year at the top with Broken Arrow Tiger and Putnam City North being the two favorites in the preseason. However, WestMoore who is healthier this year will be in the mix with their senior experience. Despite the early season rankings, this season will conclude on who is playing the best basketball in early March. The emergence of synergy will be important to all clubs this year. Broken Arrow depth for this season is impressive; they can literally play about 11 guys each night and not lose too much steam. On any given night there are about eight players, who have the ability to score twenty points in the flow of the offense. The Tigers has ridiculous athleticism, very good size, and some high level skill guards who play above and below the rim (Showing that Jelly). The tigers have about five DI caliber student/athletes on the team and three to four others who can play collegially. Caleb Huffman (Sr) high skill level and super athletic shooting guard along with Camryn Dennis (Jr) another athletic shooting guard, are instant offense and holds multiple D1 offers, along with Braden Boyer University of Arkansas Fort Smith commit (Sr) in the pivot. But the Tigers supporting cast is the most intriguing. Major Smith and Tyre Pinder both seniors will be the floor generals for the tigers. Smith is a sound in his approach and can knock down the long ball, while playing good position defense. Pinder arguably one of the most cerebral players in the state, will be another season sound floor general at the PG, who has the ability to knock down the three create for others and be tough on defense. Josh Robinson (Sr) who brings big time athleticism and a sound set of skills, can play three positions comfortably at 6’5. Robinson is also a good offensive rebounder. Logan Dolan (Jr) will stretch the defense with his long ball. Wendel Washington (Jr) a guard will add his toughness and ability to get to the rack. Tyler Pinder (Fr) the freshman will keep it interesting, despite the depth of the team he is in the mix and his talent, toughness, and skill level as a PG or SG will add to the depth of the Tigers. The Tigers roster is impressive; the challenge for Coach Wallace and the Tigers to win the Gold Ball will be their evolution of Synergy. Who is willing to make the right paly at the right time? PC North has unfinished business after a heartbreaking loss to Edmond North in the state championship game last year. PC North is returning four starters, which spells a lot of trouble for the state. North just simply gets after it on defense and plays with a chip on their shoulder. PC North is one of the very few teams who enjoy defending and bringing misery to the opponents. North has a good looking big four in Adokieye Iyaye (Sr) UTSA commit, who is a hire wire act that can fill the score sheets in bunches. Adokieye is relentless and tough in all aspects. Chris Braggs (Sr) maybe the heart of the team, he does so many things that contribute to all the intangibles necessary for a gold ball run. Micah Thomas (Jr) the floor general who will be instrumental in leading the team, also adding offense. The big man in the middle Blake Owens (Sr) will add tremendous value because of his versatility and toughness on defense. Shyon Janloo (Jr) who sat last year because of a transfer will add depth and instant offense. Janloo is a slasher who loves to play downhill and also is tough on defense. North just brings that toughness to the table and has a confidence about them when they step on to the court. North has a good chance to take home the Gold Ball and for them it will come down to how they evolve through synergy. The jaguars will be returning a talented group of seniors, who had some unfinished business last year due to the injury of Anthony Moore (Sr) 6’4 wing. William Graham Jr (Sr) who broke his leg during the summer season will be back at full strength to lead the Jaguars at another run for the Gold Ball. Graham and Moore will have a good supporting cast, but may not be as deep this year. The jaguars play a tough brand of defensive basketball and as a team they defend well. They transition well on both offense and defense. The Jaguars will be tough in every game and gets up in you. Jaguars demonstrate a good level of synergy in their play; it will be interesting to see how much more they evolve and how they are playing in early March. Edmond will be tough again this year; they had a good summer, with a signature win at the Oklahoma University basketball camp. Edmond will be led by the South Dakota commit PG Tauriwan Knight (Sr) who will shoulder most of the scoring load. Knight is a season veteran and understands how to turn it up and get his team mates going. Kamden Gipson (Sr) point guard a season floor general coming of a good summer will lead the team. Kamden will bring good energy and leadership to the team. Ben Smith (Jr) will do most of the work in the paint using his supreme athleticism. Edmond will not go down without a great fight for the Gold Ball. For this team the evolution of synergy will be vital with the limited depth of the team this year. 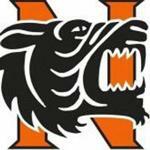 Norman Tigers has a deep talented squad who will definitely challenge for the Gold Ball this year. The tigers have seasoned veterans, young talent, and size. Those qualities will give the Tigers a high probability to be in the final game in March. Returning starters senior Shane Diduk (SF), Jake Ogle (PF) and Bryce Moreland (PG) will be ready lead the Tigers. Both Diduk and Ogle can shoot the long ball, but will have to be big on the boards and rim protectors. Moreland will be the floor general and he now has some big time help in Jakaree Holmes. Holmes, who averaged 8 points on the defending Edmond North 6A champs from last season, will bring his experience and leadership. Holmes will be tough on the ball defender, in addition to attacking the defense. Dayton Holman the super sophomore and member of the Gym Time Hoops Fabulous Five Freshmen in 2016 will be a utility guy. At 6’5 and very athletic, Holman will be able to play several positions comfortably on the floor and defend them as well. Kolby Gibson (Sr), Montre Cobbs (Sr) will be vital contributors and add to the depth of the Tigers. The Tigers will be deep and have some new moving parts to allow synergy to evolve, but they can be scary good if it all comes together. The Sandites will be strong this year led by senior wing man Colt Savage. Colt had an awesome summer and his game has really matured. Savage was always a shooter, but he has added the mid-range pull up and much more explosive playing over the top. Colt will have some additional help from Davon Richardson (So) and also a Gym Time Hoops Fab Five recipient. Richardson transferred into Sand Springs and is a welcomed addition by Coach Savage. Richardson will be another scoring jolt and active around the boards. Richardson is a high flying small forward who can really score around the basket and will help with the Sandites chances of chasing that Gold Ball. Cole Durkee will help the Sandites with his sharp shooting ability and he is an effective slasher with good size at 6’3. Matthew Price (SR.) PG will provide most of the ball handling duties. Junior Cale Savage SG will help with scoring and being a utility player. Cason Savage (Fr) the youngest of the Savage trio, will have the opportunity to help his two older siblings chase the Gold Ball. Marlo Fox (Fr) guard also will also have a role in the Sandites journey this season. The Sandites limited depth this season will make the evolution synergy much more important for a successful season. Tulsa Union will be tough and talented, despite losing two players to D1 this year, Rudy Garcia always finds a way to keep his team in the mix. Union will be led by Mo Garcia (Sr) small forward with great accuracy from long range and has sound leadership on the court. Micah McQuarters (Sr) small forward with good athleticism and can score on all three levels. McQuarters is also tough on defense and maybe one of the top defenders in the class because of his size and athleticism. The tough minded do it all Jordan Flood (Sr) who just plays basketball. Jordan is one of those players without a define position, who is tough downhill and rebounds well. Flood has a great motor that never stops turning. Union will be in the mix come early march, but will really have to be playing at a high level, whereby synergy has emerged. The Roughers, who has traditionally put out very athletic teams, will continue with that tradition. The Roughers will hang their season on the shoulders of seniors CJ Parks and Brooks Haddock. CJ Parks at 6’8, arguably the most versatile front line player in the state will have to be highly productive on both ends of the floor consistently. It will be important for Parks to dominant the interior and on occasion show his face up game, while protecting the basket and controlling the boards. Brook Haddock will have to stretch the floor with his long ball and his effective mid-range game. Haddock will also help with a lot of the ball handling duties this year. Camryn Clemmons (JR.) will have to help with a lot of the ball handling and bring the toughness on both ends. Quintevin Cherry (Jr) Small Forward will be the wild card for the Roughers if he decides to come out and play after the football season. The Roughers could use his size and seasoned skill set. The incoming Freshman Jimmy Brown is on pace to be a valuable part of the Ropers contributors this season. The Roughers ability to demonstrate synergy in the post season will determine the success of their season. Sapulpa has a new chief at the helm this year, Ricky Bruner. Despite the loss of the Phipps, Coach Bruner likes his chances to compete this year with his squad. Why not, he has one of the most prolific scorers in the state in junior point guard Julian Smith. Smith is set up to have one of those spectacular scoring seasons where he is putting up monstrous Trae Young like numbers. Smith is a seasoned veteran, who has been working on his PG skills to make others around him better. Smith will need a supporting cast to help make a strong run. Lajuan Hughes (SR) guard will finally get the opportunity to add to the Chieftains pursuit of the gold ball. Hughes is another season veteran who can fill it up, but is also very discipline and has a good basketball IQ. Hunter Hoggatt (SO) forward will be a piece to that puzzle. The young fella can simply stroke it from anywhere on the court. The super explosive Jakobe Durant (Jr) will keep fans on the edge of their seat. Jakobe will add to the supporting cast and bring his quick slashing ability and high rising vertical to battle. The younger brother Vernon Durant (FR) forward, who is also a high flyer will provide some big time help on the boards and a nice scoring punch. The Cheiftians ability to evolve through synergy will be important for their season success.